Thanks for your interest in linking to the site to help spread the word about The Housebreaking Bible! I offer text links and banner links. Here are some links I’d love to have coming into the site. Each link is followed by copy-and-paste code to make it easy for you to add it to your page. Complete training information to housebreak your puppy or dog with The Housebreaking Bible. 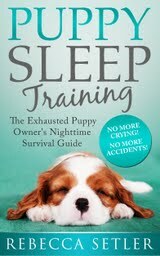 Complete training information to <a href="http://thehousebreakingbible.com/wp/index"> housebreak your puppy or dog</a> with The Housebreaking Bible. The Housebreaking Bible will teach you to housebreak your puppy or dog for FREE! With The Housebreaking Bible, even YOUR dog can be housebroken! There are two sizes of banners to choose from. Each banner is followed by copy and paste code to make it easy for you to add it to your page.